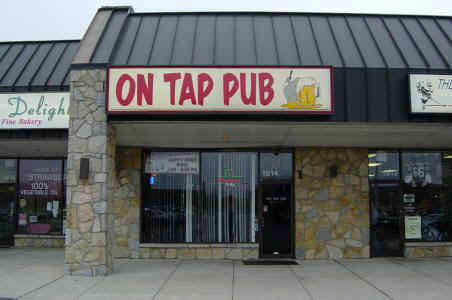 The On Tap Pub is a 21 and over tavern. No underage persons can be allowed entry. 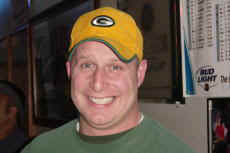 No place will make a Packer fan feel more at home than The On Tap Pub. 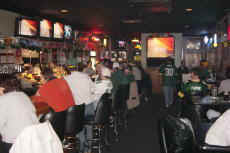 A place where THE GAME is always on the big screen (with rolling thunder sound! 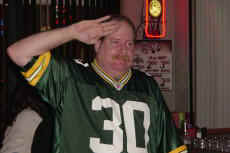 ), the drink specials keep a Packer afternoon reasonably priced, and the camaraderie will surely make you want to return Sunday after Sunday. And it's not just about the Packers, with so many TV screens we have fans pulling for OSU, the Bengals, Steelers, Browns, Dallas....., many denominations come to worship their teams. After driving a truck for more than 20 years, Kenny Abraham was approached by his daughter Jen. Her object was to get dear ol Dad to open a bar. After all, she had experience working in a tavern. Kenny didnt dismiss the idea, and thought it might be something he could do to augment his income. But things werent as easy as a Packer victory over the Lions. After scouting out several locations in early 1999, Kenny came across a bagel shop that had closed its doors. He spent several nights sitting in the parking lot, watching the foot traffic bounce between several other establishments. He thought that if he could just get a few of those people in the door, the location might work. 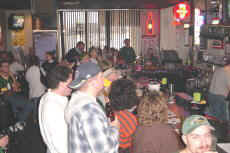 So, after getting rid of the stale bagel smell, the doors of the On Tap Pub were unlocked for business in May of 99. Along the way, Kenny lost his job as a truck driver, and sunk a bit more money into the place than he actually had to his name. But, the sign was lit and there were a few folks at the bar getting drinks from Jen. The bar would change forever one summer day when a stranger came in. He was a nice man. 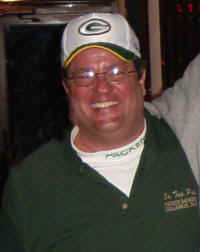 He may have even been wearing green and gold that day. Who knows? But one thing is for sure, Brian Rigg would change the course of On Tap Pub history. He sat and talked to Kenny for a while. After all, he was seeking out a place. 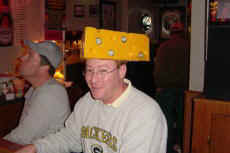 Not just for himself, but for the throng of Cheeseheads he knew would follow him. He prodded Kenny to put in the satellite. Not just any, but Direct TV. He did it with a statement and a prediction, all in one, If you put it in, it will pay for itself in a month, Brian said. Brian is the Honorary Mayor of Packerville, Ohio. Kenny has recouped the cost of the satellite  many times over. 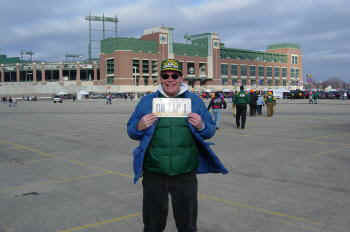 The Packer faithful flock in every game, welcoming someone new, it seems, each week. 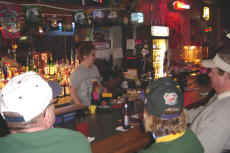 And The On Tap Pub is home to the Buckeye Packer Backers. Hey, come on in! There is always room for one more!